What is a Contractor’s License(Commercial Specialty Contractor) Bond in Arizona? A Contractor’s License(Commercial Specialty Contractor) Bond is a type of license bond. The purpose of the bond is to protect the state or governmental entity for certain things, such as the payment of taxes. How Much does a Contractor’s License(Commercial Specialty Contractor) Bond Cost in Arizona? How do I get a Contractor’s License(Commercial Specialty Contractor) Bond? 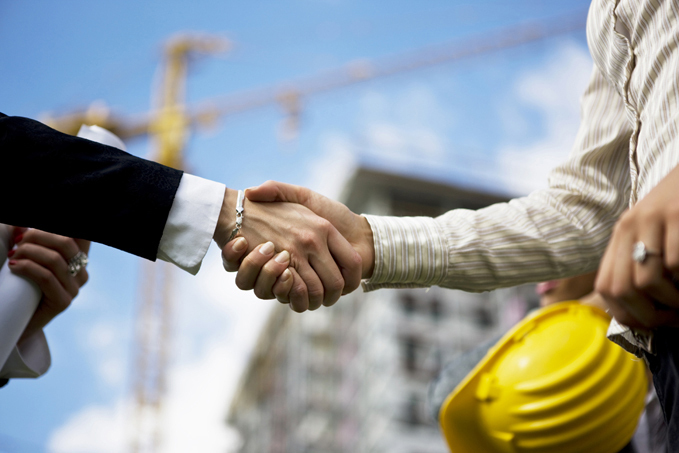 We make it easy to get a Contractor’s License(Commercial Specialty Contractor) Bond in Arizona. Fill out the form above and we’ll get right on this for you. Then we’ll get the Contractor’s License(Commercial Specialty Contractor) Bond right out to you. Easy. License bonds and permit bonds are essentials needed by a government body. These bonds are important to help the government prove that all businesses within their territory comply with the general rule that governs business functions. Every professional in every occupation has to get the bonds before starting their business. These bonds provide the government an assurance that all governing rules set connected to their business or profession is correctly adhered to. These bonds also help the government easily detect a certain professional or company who failed to adhere to rules and regulations. This is why it’s essential for any business or professional to get these bonds. When you’ll need information about how to get a permit bond, this article is here to help explain some important details of license and permit bonds. There are different bonds, but their usage varies depending on your type of business or operation. This section explains other kinds of surety bonds that you could enjoy and their purposes. The license and permit surety bond is the most typical kind of surety bond. If you intend to start a business in Kansas, you need to understand the regulations that govern that kind of business in that location. The government will also need assurance that you’re not doing anything illegal with your company. Once your business begins, the consumers you serve may be the eyes of the government. If you fail to adhere to the governing rules, the client is also given the right to sue your bond. In return, he or she will get compensation and you, however, will face the law. Several kinds of bonds are under this particular kind of bond. For example, you are going to enjoy contractor license bond under this kind of bond. Another kind of surety bonds is the performance bond. A performance bond is a great type of insurance for the customer that chooses to hire a specialist for a particular task, as an example, construction. While constructing, the contractor has to meet all the needs and requirements provided by the consumer. The contractors must not fail to comply with the governing rules to prevent serious issues concerning the laws that cover this certain type of business functions. In case the contractor fail to deliver, the customer can be able to obtain considerable sum of money from the insuring company in which the contractor get the bond. Because of the contractor’s non-compliant, the customer will also get a replacement contractor. This section details the important advantages that you will enjoy once you employ an expert who holds a license and permit bonds. There are rules and processes to be followed when operating a business, which the government demands. Let us take for instance a construction project, the systematic flow of processes are defined in the license bonds. This systematic flow of processes must then be adhered to by the contractor you hired for the project. Luckily, the permit bonds care for the clients of professionals. Should the project fails, the consumer will get considerable amount of settlement because of the quandary brought on by the professional’s failure to deliver. It is done by submitting a case against the professional who failed to deliver, thereby giving the client an opportunity to recover certain amount of cash as stated in the bond. It’s not tough to apply for a permit bond. The following are actions that could guide you towards an effective application of a permit bond. The first step to acquiring a permit bond online is acquiring an authorized issuing company. You may use any device with Internet capabilities when accessing online permit bonds application forms. After you have filled out the form, hit submit and the application is now being processed. Stick to the guidelines when filling out the form so that you will not have any problem with the application. If the fields are instructed to be filled, make sure to fill them out. After you have submitted the application, you are going to then get free quotation. This indicates the amount that you should pay in relation to the bond you wish to get. You are going to get your bond after you have made the payment. This section highlights the important info about permit and license bonds that most folks ignore. One important fact you need to find out about surety bonds is its purpose, which is to protect clientele and to enable them to recover specific amounts of the whole project cost. For example, the government might require that you purchase a license and permit bond worth $500,000. In this case, only a relative portion of the entire project cost is insured with the performance bond. Instead, the payment you make will only be equivalent to 1% of the entire bond’s worth. Your bond will protect your customers from any misbehavior or disability to conduct. You, as the business, should serve your clients right and your bond will act as a shield if you fail to do the same. It is important to know all the regulations and rules of the government with regards to supplying professional and construction services. Use the appropriate means to acquire what you need for your company to thrive and receive a license or permit. See our Arizona Debt Management Bond page here.